Goal Line : Regan Gentry. 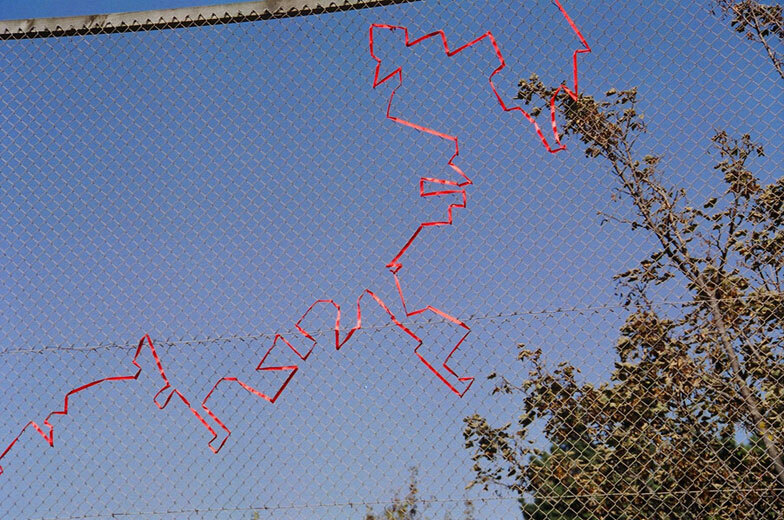 City skyline traced with red ribbon woven into a ‘cyclone’ wire net fence. 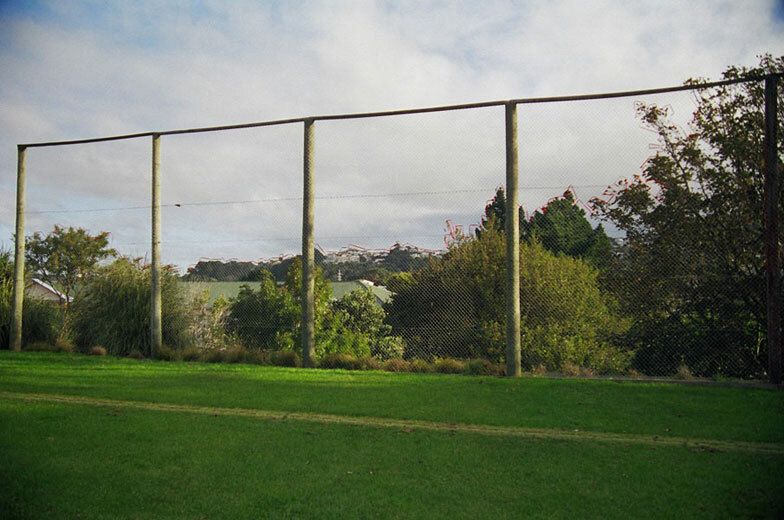 Viewing point is the centre of the southern goalposts. Permission was not gained, work created under the pseudonym ‘Artist A and Artist B’. 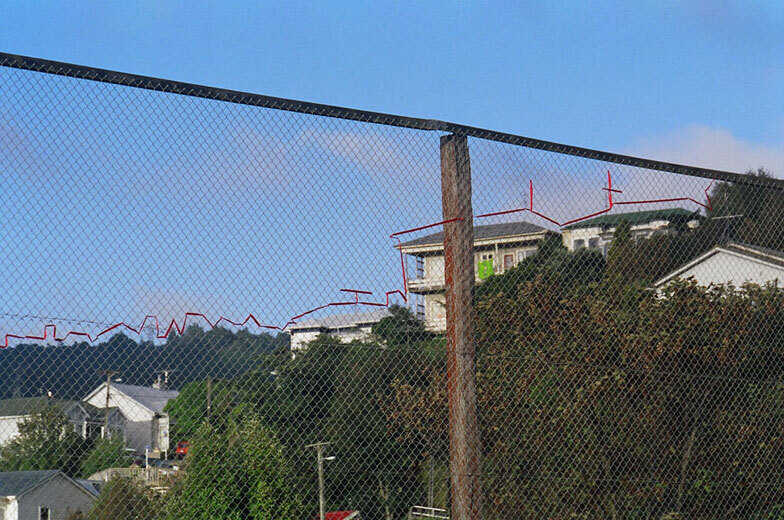 Installation decayed on site over 5 years. 30 x 7m. 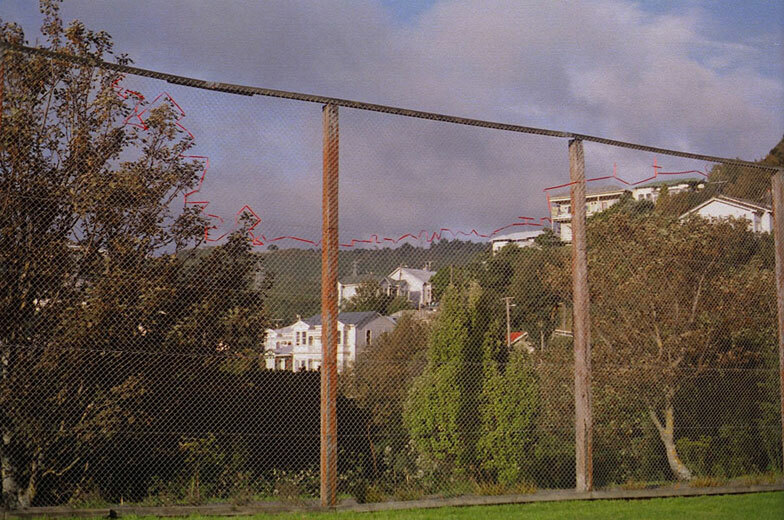 'Interventions', - Kaleb Bennett, Wellington Fringe Festival 2004; Boyd Wilson Field, Victoria University, Wellington. 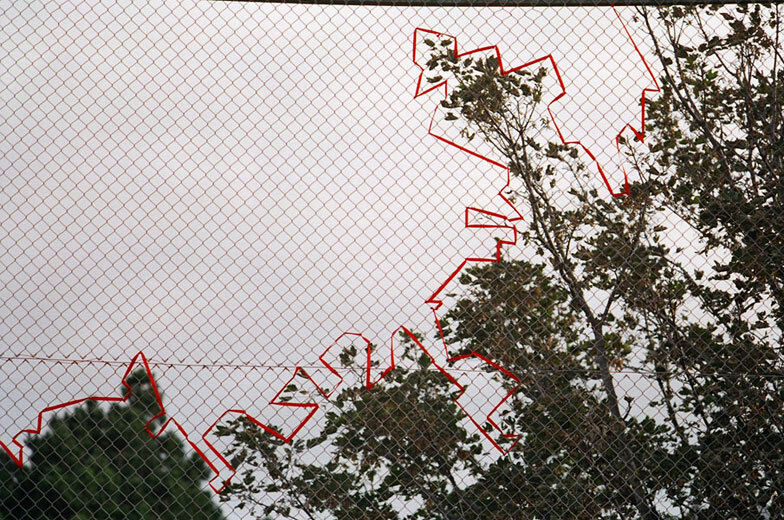 Part of 'Interventions: city reclamation project'. Goal Line - detail - ribbon. Goal Line - left side - ribbon. Goal Line - right side - ribbon.